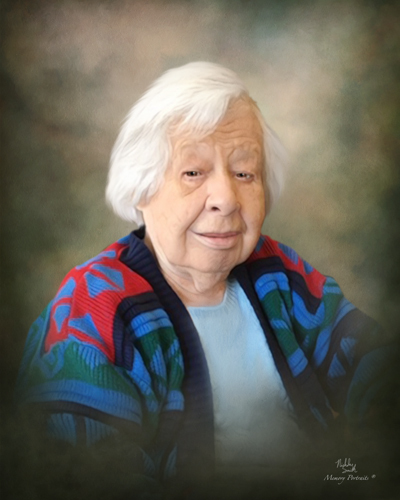 Irene M. (Morrison) Bengston, 93, a lifelong resident of Manchester, beloved wife of the late John B. Bengston, passed away peacefully on Wednesday, April 10, 2019 at Manchester Manor. She was born on May 9, 1925, in Manchester, daughter of the late Joseph and Gladys (Finley) Morrison. She is survived by her son Eric J. Bengston and his wife Margaret of Deep River; her daughter Karen I. McKnight and her husband Michael of Sturbridge, MA; her brother Elmer Morrison of Wethersfield; four grandchildren, Sarah Bengston, Kate Bengston, John Bengston, and Stephanie Ferrarri and her husband Anthony. In addition to her husband and parents she was predeceased by her brothers Elton and Milton Morrison, and her sister Barbara Coombs. A Memorial Service will be celebrated on Monday, April 15, 2019 at 1:00 PM at Center Congregational Church, 11 Center St., Manchester, CT 06040. Burial will be private in East Cemetery, Manchester. There are no calling hours. Memorial contributions may be made to the Center Congregational Church Memorial Fund. Holmes-Watkins Funeral Home in Manchester has care of the arrangements. To leave an online message of condolence, please visit www.holmeswatkins.com.